Google and Facebook have nearly destroyed the media business – venerable institutions and digital upstarts alike. In “Merchants of Truth,” Jill Abramson effectively draws upon BuzzFeed, Vice, the Washington Post and the New York Times to show that subscribers are key to survival. 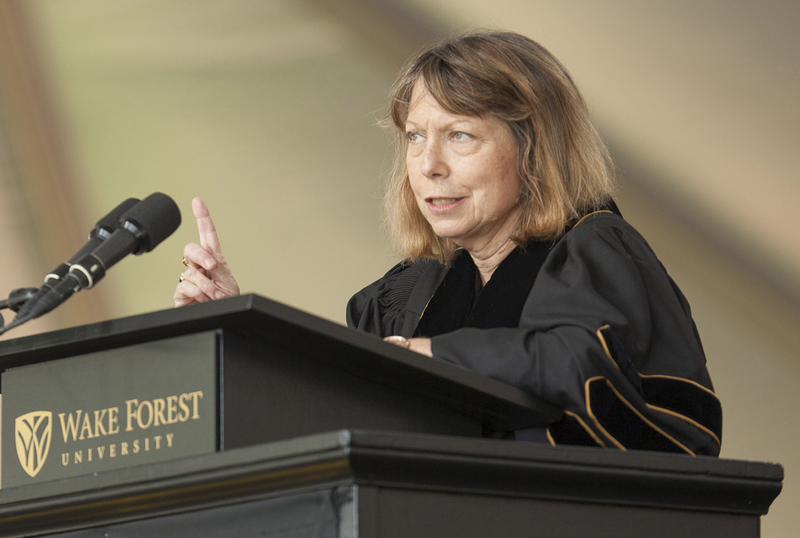 Jill Abramson, former Executive Editor of the New York Times, gives the commencement address at Wake Forest University in Winston-Salem, North Carolina May 19, 2014. “Merchants of Truth: The Business of News and the Fight for Facts,” by Jill Abramson, was published by Simon & Schuster on Feb. 5.